‘In 2003 the Vienna Juvenile Court was closed after eight decades in spite of strong protest. The Juvenile Detention Center was merged with other institutions, and the detained juveniles were moved. The building in the 3rd district was vacated and stood empty for three years. The building, its hearing rooms, but in particular its ‘‘cells’’ and the countless inscriptions and graffiti are the subject of this book. 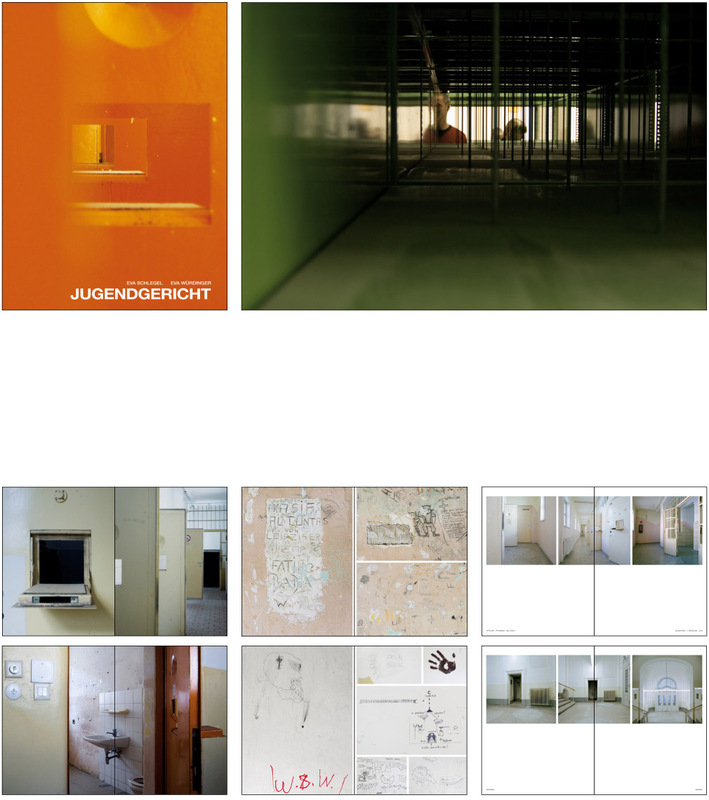 With their photographs Eva Schlegel and Eva Würdinger document the building in its present state, and bring to life the special world of a juvenile detention center which has faded from public awarness.’ The challenge was to develop – with the two artists, Eva Schlegel and Eva Wuerdinger a concept for the artist book, which shall represent their work with this subject. Eva Wuerdingers position was more an artistic approach of a straight view on the room that created the house of the Juvenile Court. Eva Schlegels view through the camera was a walk through the now empty house trying to catch the subjective atmosphere of the empty spaces filled with the history that is still left behind.